It was gathered that executive members of CAN, The African Church, the CCTL Governing Council, held a meeting on the Lagos Island over the incident yesterday (Monday). 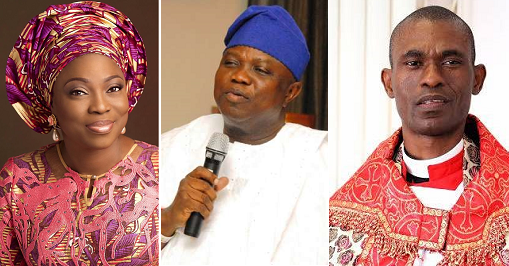 The Punch had reported that Bolanle, the wife of the state Governor, Akinwunmi Ambode, had attended an anointing service at the chapel on May 14, 2017. On the following day, Taiwo got the sack, with an instruction to vacate his official quarters within 24 hours. A source at the Monday meeting said, “It was a meeting of the leadership of CAN. It was a peace meeting. Nobody is interested in creating unnecessary tension in the polity, especially at this time when Lagos is celebrating its 5oth anniversary. Otoibhi, who spoke with Punch on phone, condemned Taiwo’s sacking, calling for caution.